Consumers are becoming much more careful about which businesses they share their data with. Whether you’re the millionth visitor on a website, the sole recipient of your long-lost aunt’s exorbitant inheritance, or you’ve simply been randomly selected for some sort of bumper prize, everyone has likely experienced an unbelievable offer on the internet that is simply too good to be true. However, online fraud has come a long way since the days of these desperate email scams, and is now a rapidly-growing organised criminal effort that poses a serious threat to internet users. In fact, the latest Office for National statistics found that over half (1.8 million) of the 3.2 million incidents of fraud in England and Wales were cyber related in the year ending September 2017. Figures from the UK anti-fraud organisation Cifas further corroborate these statistics: revealing that identity theft is at epidemic levels, with a record high of 89,000 reported cases in the first six months of 2017 alone. To better understand how people are responding to the growing threat, we spoke to 2,000 consumers to find out more about the strategies they are using to combat fraud. As the level of online fraud continues to rise, consumers are attempting to get a better grip on their data, as they become more concerned about its security. The majority (74%) of those we surveyed are taking active steps to block or control access to it. One of the reasons for this appears to be that over half (52%) of the people we spoke to are disappointed and frustrated with how their personal data is used by businesses. As a result, 62% of consumers are now more selective about what data they share with businesses than they were two years ago. Whilst this paints a negative picture for organisations, encouragingly, 75% of consumers said they are more likely to share information with companies when the General Data Protection Regulation (GDPR) is implemented in May of this year. In this environment, companies that are deemed trustworthy and seen as transparent and responsible by consumers are more likely to be considered a preferred supplier. Clear communication with customers is also key, as we found that consumers would be more likely to share personal information with businesses if they had a better understanding of how their data is being used and how sharing it can benefit them. Trust, or lack thereof, in how data is being used by organisations was a common theme in our research. The sharp rise in the number of high-profile data breaches has resulted in fears amongst some consumers that the companies they do business with cannot adequately protect them against fraudsters. Interestingly, more than half (60%) of consumers we surveyed think that businesses are getting smarter at fraud prevention. But, three in four (74%) believe that fraudsters are always one step ahead of the organisations they seek to defraud. Indicating a lack of trust amongst consumers in businesses. To win back and, most importantly, keep consumer confidence, businesses need to demonstrate that they are doing everything they can to keep customers’ money, data and identities safe. Implementing better ways of verifying their customers’ identity is key to this. Rather than asking people to provide copies of their passport, for example, businesses should move towards a more secure model that doesn’t risk leaving key personal information vulnerable to being exposed. Implementing smarter, more dynamic fraud prevention strategies, such as artificial intelligence, alongside traditional fraud prevention methods – and consistently communicating these to their customers - can go a long way towards easing their security concerns. Beyond being selective about the businesses they want to share data with, we also found that consumers are upping their game with passwords. Over half (57%) use strong passwords and 42% say they regularly change these. Whilst this is encouraging, simple fraud prevention techniques are clearly still not being used as widely as they should be: by everyone. A strong password should include a mixture of upper and lower-case letters, numbers and symbols, and avoid use of any short of personal information. This will help put as many obstacles in place as possible for potential hackers. What’s more, 50% of people surveyed also block cold or unsolicited calls and 43% have downloaded data security or anti malware software. Consumers also respect the need for businesses to carry out thorough checks to protect them against fraud, with 42% valuing a secure service over a fast and efficient one. As business fraud prevention tactics become smarter and more dynamic, companies should find providing a secure as well as an efficient service easier. Clearly, there is much businesses can do to strengthen their fraud prevention armour, but how can the industry help consumers do everything they can to protect themselves against fraud? Educating people about existing risks and fraud prevention tactics they can use is important. As peoples’ digital identities increasingly form part of the checks that organisations perform, businesses could, for example, encourage customers to regularly check their credit report to help spot unusual activity and making use of two-factor authentication if available on websites. Whilst this may seem obvious, our research shows that there is also still room to educate consumers about simple techniques they can use to protect themselves, such as warning them to avoid using a password more than once. As well as focusing on better verification techniques, businesses should look to use cutting edge technology such as machine learning – alongside more traditional techniques - throughout the customer journey and lifecycle. As incidents of fraud have risen, consumers have become increasingly aware of the threat it poses. As a result, they will begin to turn their backs on institutions that they believe are unable to protect their personal information. Building a reputation as a business that takes its responsibility for customer data safety seriously will deliver a significant competitive advantage. 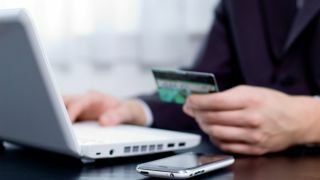 In addition, by educating consumers on fraud prevention practices, businesses can ensure that all parties are doing everything they can to fight online fraud.